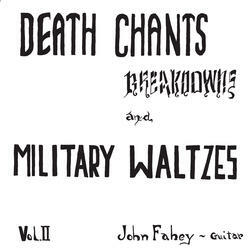 Death Chants is John Fahey's second album, following the brilliantly apocryphal Blind Joe Death. As massive as that earlier work was, it represented only a tentative first step towards the fields of hodologic splendor that our hero would go on to create. 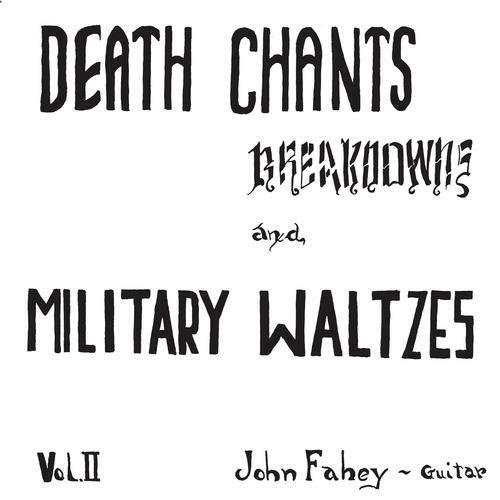 Death Chants represents a much more fully realized syncretism of the modernist and primitive poles between which Fahey wobbled. It is also the first album he deigned to release entirely under his own name and the one with which he truly began to cast a shadow across the blandly-lit landscape of the world's subconscious. On blue vinyl. The John Fahey vinyl box set "The Transcendental Waterfall" FMN600 UPC:646315160017 is also available!